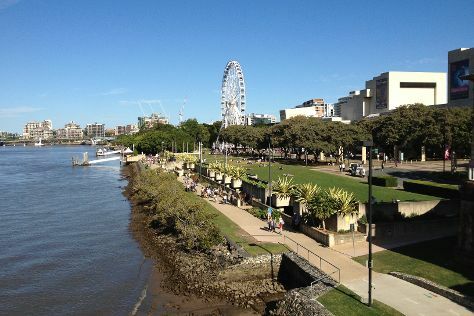 Brisbane is known for parks, sightseeing, zoos & aquariums, museums, and nature. Your plan includes some of its best attractions: meet the residents at Lone Pine Koala Sanctuary, take in nature's colorful creations at Roma Street Parkland, admire all the interesting features of Suncorp Stadium, and get great views at Mount Coot-tha Lookout. To see maps, other places to visit, where to stay, and tourist information, refer to the Brisbane tour planner. London, UK to Brisbane is an approximately 29-hour flight. Due to the time zone difference, you'll lose 10 hours traveling from London to Brisbane. Plan for little chillier nights when traveling from London in August since evenings lows in Brisbane dip to 11°C. 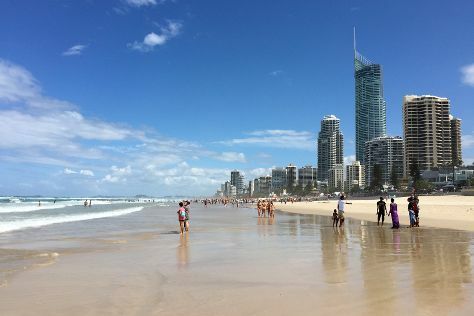 Wrap up your sightseeing on the 21st (Mon) early enough to drive to Surfers Paradise. Kids will enjoy Sea World Theme Park and Infinity Attraction. Take a break from Surfers Paradise with a short trip to Dreamworld in Coomera, about 32 minutes away. There's much more to do: get in on the family fun at Warner Bros. Movie World, race across the water with a speed boat tour, kick back and relax at Surfer's Paradise Beach, and enjoy breathtaking views from SkyPoint Observation Deck. To see maps, other places to visit, traveler tips, and tourist information, refer to the Surfers Paradise itinerary planner. Traveling by car from Brisbane to Surfers Paradise takes an hour. Alternatively, you can drive; or take a bus. In August, plan for daily highs up to 25°C, and evening lows to 11°C. Finish your sightseeing early on the 23rd (Wed) to allow enough time to drive to Broadbeach. 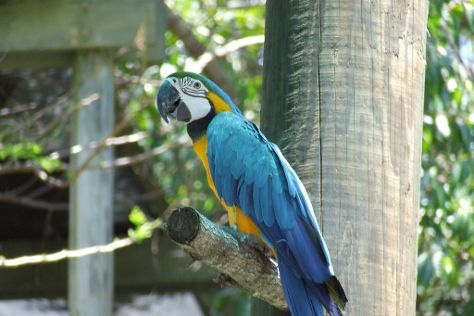 Kick off your visit on the 24th (Thu): enjoy the sand and surf at Burleigh Heads Beach and then tour the pleasant surroundings at Currumbin Wildlife Sanctuary. To see reviews, other places to visit, ratings, and more tourist information, you can read our Broadbeach trip itinerary planner. Broadbeach is just a short distance from Surfers Paradise. Expect a daytime high around 25°C in August, and nighttime lows around 11°C. Cap off your sightseeing on the 24th (Thu) early enough to travel back home.